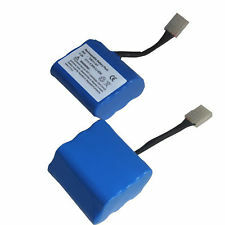 945-0006: 7.2v 4.0Ah Ni-MH battery for self-propelled vacuums. Fits in Neato XV-11, XV-12, XV-14, XV-15, XV-21, Signature 25. Replaces part #s 945-0006, 945-0005, etc. Pricing is for 1 battery pack; picture shows both sides of battery.